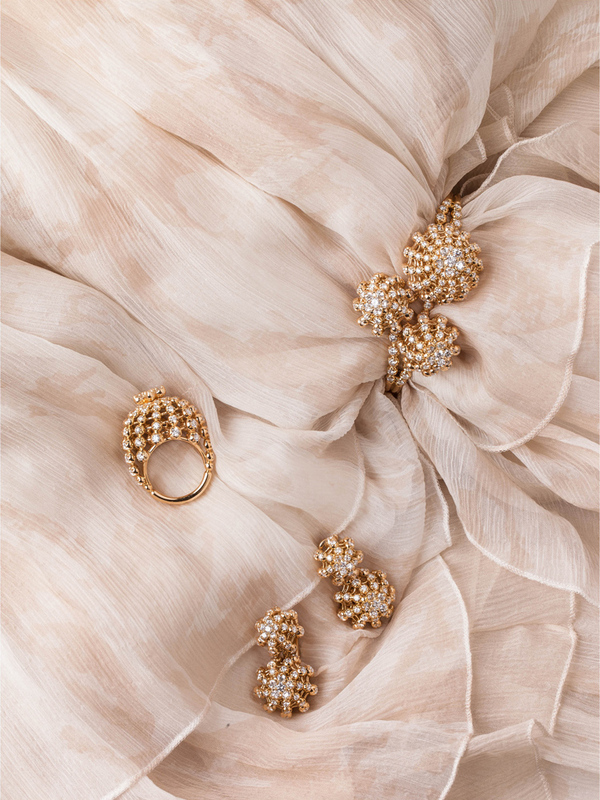 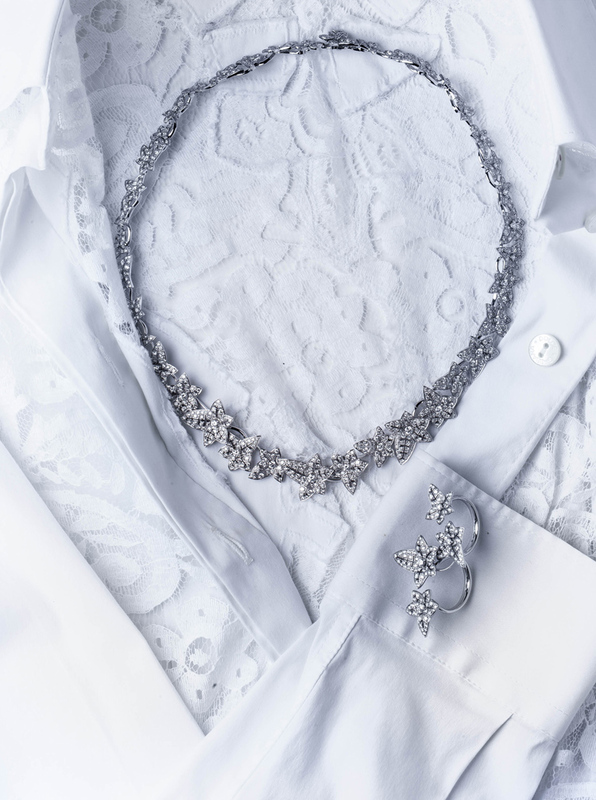 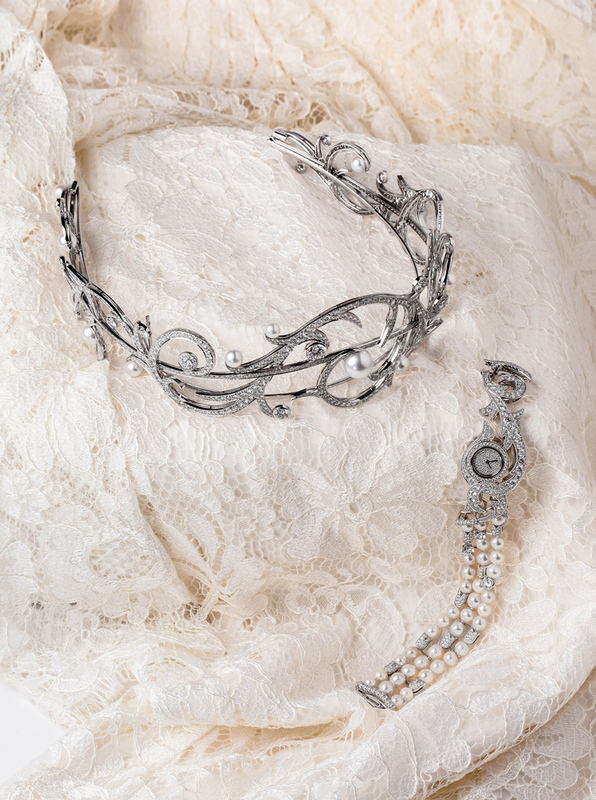 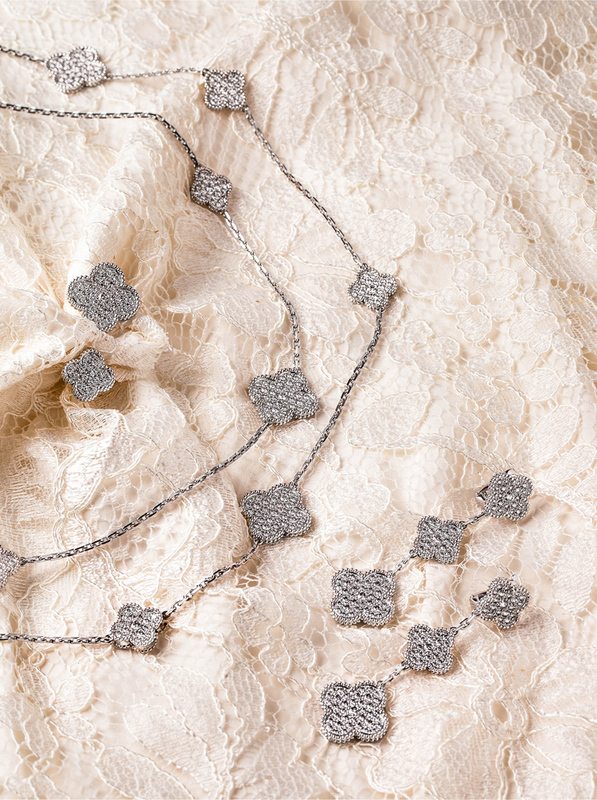 Shine even brighter on your special day with flashes of diamonds, pearls and gold. 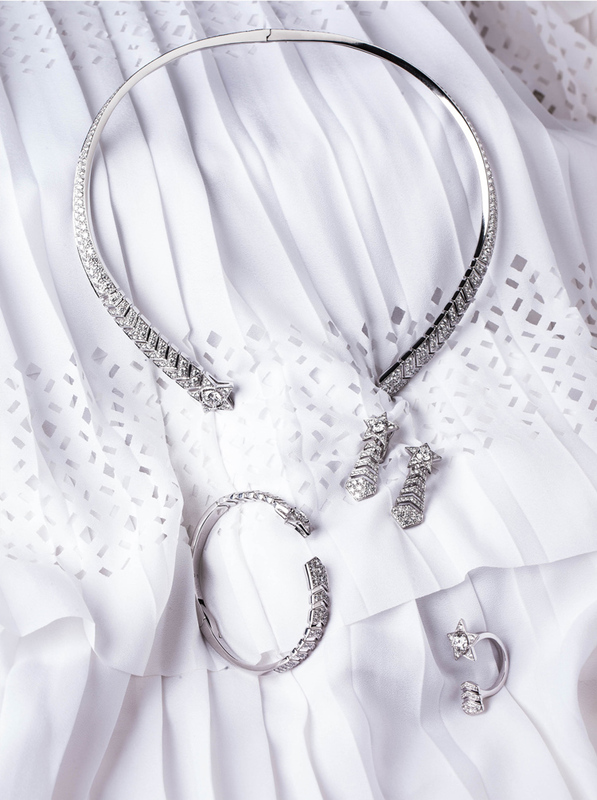 From classic lines to modern finishes, there is a sparkle to delight every bride. 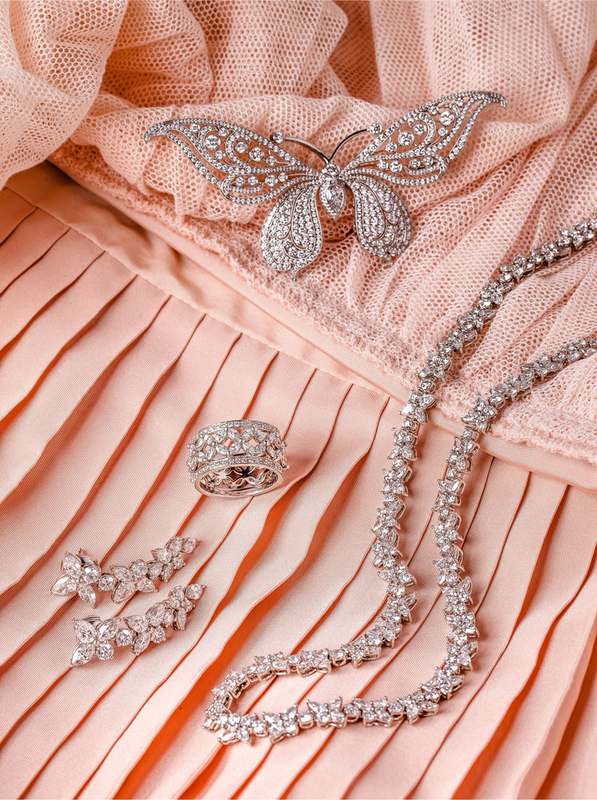 Tiffany Enchant® butterfly brooch in platinum with diamonds, Tiffany Victoria® mixed cluster necklace, drop earrings & ring in platinum with diamonds.